LAHORE: Cricket chief selector Inzamamul Haq on Thursday met Pakistan Cricket Board (PCB) chairman Ehsan Mani to discuss an allegation of favouritism levelled against himself and chief selector of the national junior selection committee Basit Ali. According to the allegation levelled by former chief selector Abdul Qadir, Inzamam had used his influence to secure his son’s berth in the national junior team. Qadir claimed that Basit told him that Inzamam had asked him to include his son Ibtisamul Haq in the national junior team. However, Inzamam and Basit have denied Qadir’s claims. Inzamam and Basit deny allegations: Earlier, in a video statement, Inzamam had asked Mani to initiate an inquiry and take action against him if found guilty. 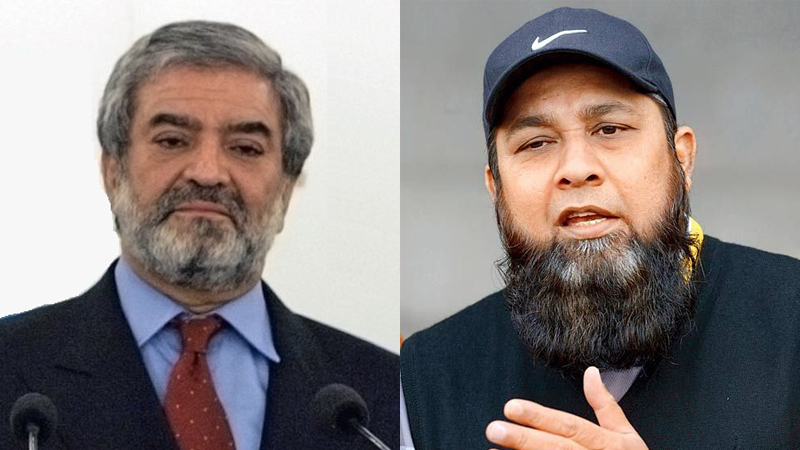 “I strongly refute this unfounded and malicious claim,” Inzamam wrote in a tweet. “For the record, no one from junior selection committee was approached and there is no truth in this. I am taking this matter quite seriously and will be meeting PCB chairman for an open inquiry on this matter tomorrow,” he had tweeted. Basit struck a similar note. “I would request the PCB chairman to investigate this issue in order to ensure that people who are spreading such news are punished,” he said. Yousuf also called for an inquiry saying “it would prove Inzamam is right in his statement.” It may be mentioned that Inzamam has faced criticism since the time he selected his nephew Imamul Haq in the national team.